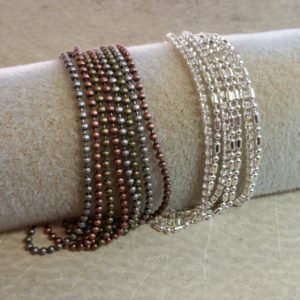 Love the wrap bracelets? 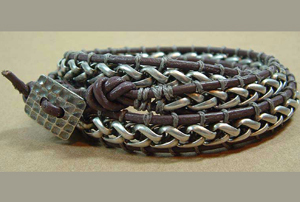 Love ‘em even more with this fabulous style using chain & leather. 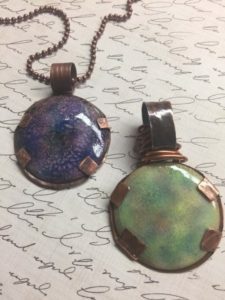 If you are like me, you’ll make a bunch of these! 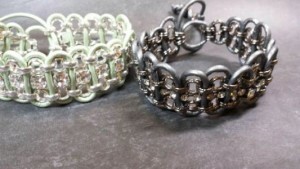 We’ll show you two styles using different chain variations…you’ll never be bored! 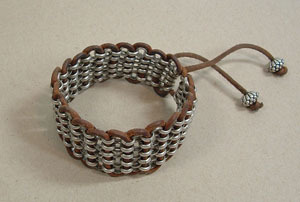 A single wrap makes a great guy bracelet too! 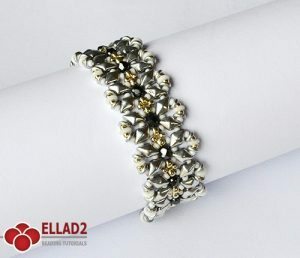 Another new offering from designer Ellad2. We just LOVE her patterns! 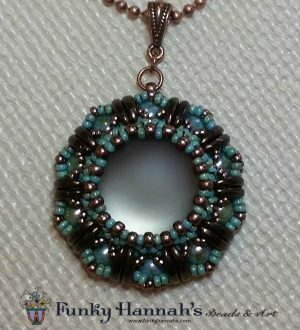 This one is a quick and easy project with Superduos and Czech tile beads. Join Funky Amanda on a fun Free Friday afternoon! 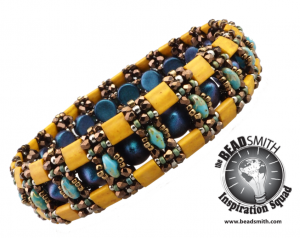 The Charlestone, designed by Beadsmith Inspiration Squad member Erika Sandor, uses some of our favorites – Superduos, Tilas & Tipp beads! 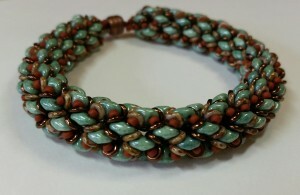 Combine them with fire polish and seed beads in endless color combinations! We LOVE this new design! 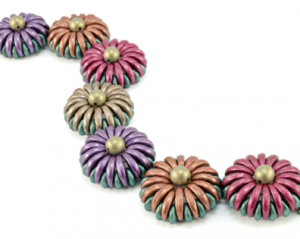 Combine new 2-hole Crescent and Lentil beads to form a puffy dimensional flower. So many color combinations! 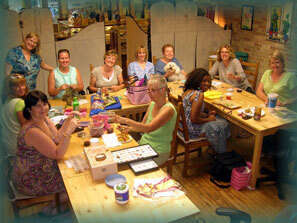 **This class is not on the current schedule but is available by request! 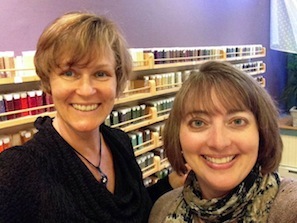 Either grab two more friends and we’ll schedule a private class just for you, or let us know you’re interested and we’ll do our best to put it on the next schedule! 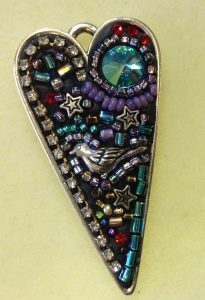 A fun, different design by Ella D with Lunasoft, 2-hole Cabochons and Crescent beads turns into a stunning pendant! 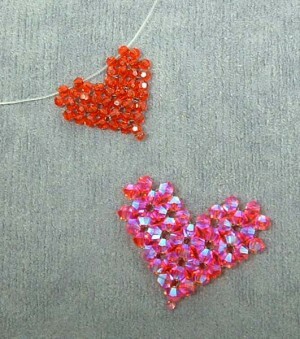 Create a beautiful crystal bling pendant using either 3 or 4mm Swarovski bicone crystals. 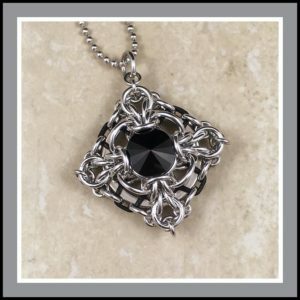 Once you get how right angle weave works you’ll want to whip up one of these for sisters, girlfriends….anyone you’d like to share some sparkle with. Sweet, simple and elegant. 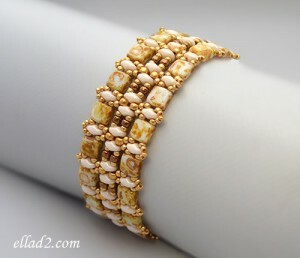 Grab some crystals, some delicas, and whip up this bracelet, or a whole wrist full of this bracelet! 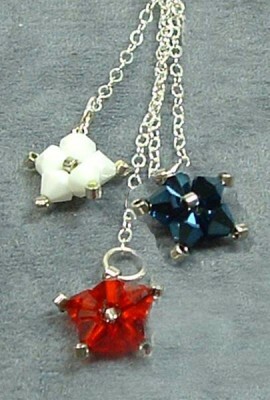 Sweet holiday dangle earrings…we LOVE making these great designs with Swarovski crystals! So sparkly for the 4th of July! 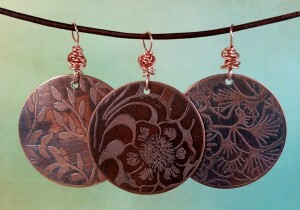 These make great gifts too! Don’t you love it when a friend gives you a gift? (Especially beautiful jewelry!) 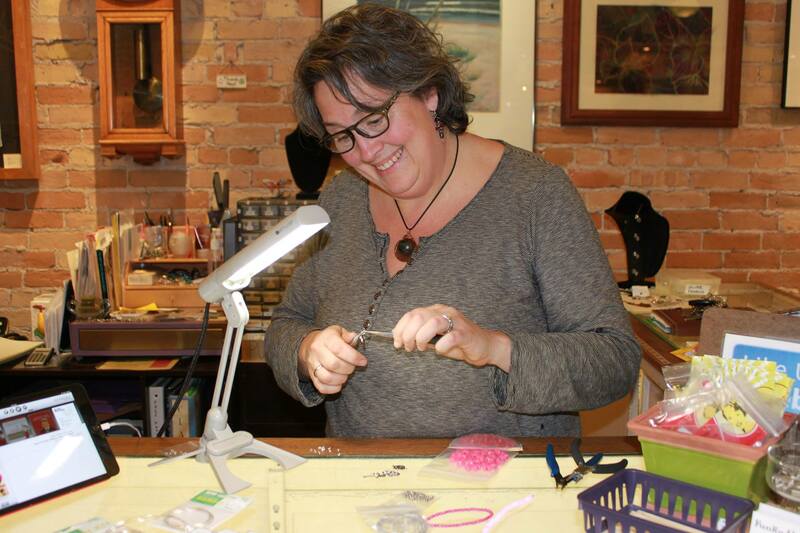 Dee created this bracelet and gifted it to Kathy…every time she wears it the oooohs and aaaahs demanded that we share it as a class at Funky’s! 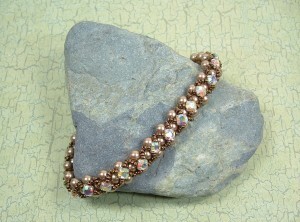 We have been having fun playing with the new DiamonDuo beads. 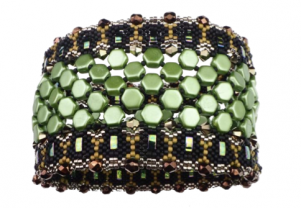 Join us for this fun bracelet by designer Ella D! We’ll play with DiamonDuos, O Beads, fire polish and more! New for 2017!